A big update, date wise, a view back on more than 4 weeks of activity. 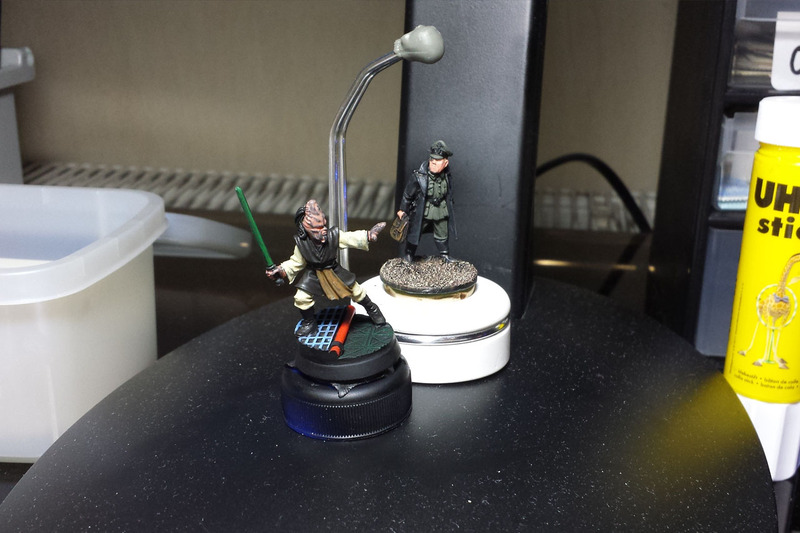 I did a bit of house sitting and beside of binge watching a couple of tv series, i did some painting with the Vallejo Black Uniform Set from AK Interactive. Strong PIP. 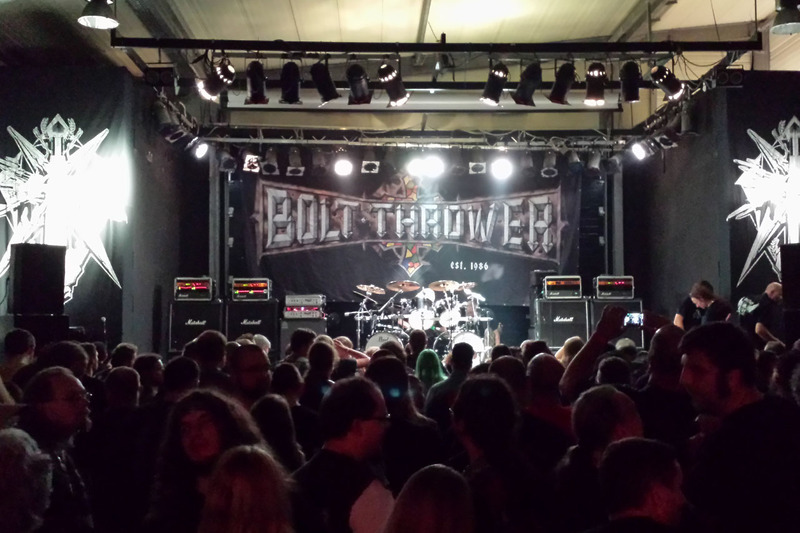 And then there was the long awaited Bolt Thrower Concert. After 12 Years (the last time on Ground Assault Tour with Benediction, Fleshcrawl & Disbelief) i had the chance, so see the Band again on their "Overtures of War" Tour. It was tricky, as the tour was almost instantly sold out. 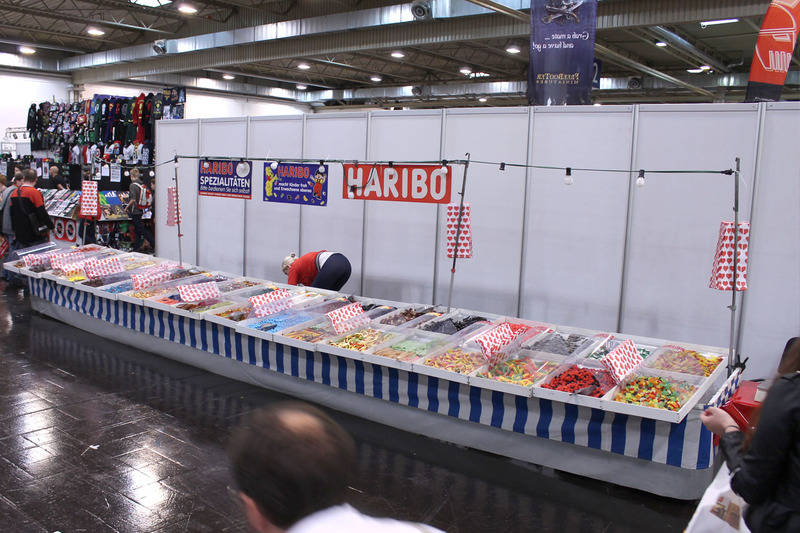 Merchandise is only available at events and for ridicolous low prices. 12 Bucks per Shirt, i got myself the two Variants of the Overtures of War Tourshirt (seen here and here) as well as a Enter the Realm of Chaos Shirt. This time the support were two bands, that i never heard before (well, i have heard of Morgoth, but never knew their music). 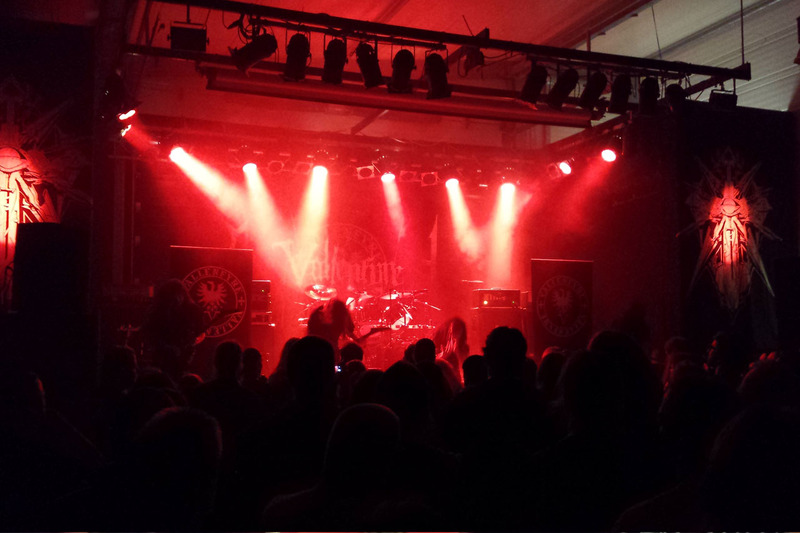 First up it was Vallenfyre, followed by Morgoth. Both very satisfying. 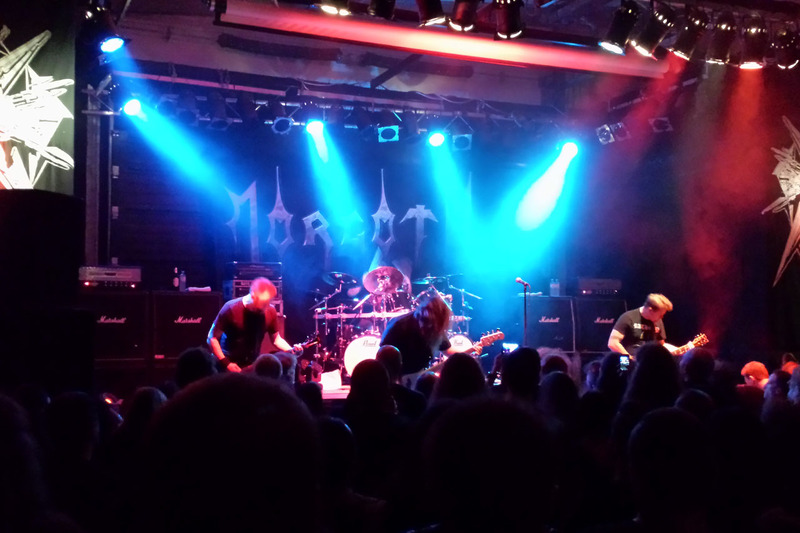 Amazing how fast Morgoth got the crowd pumped up. 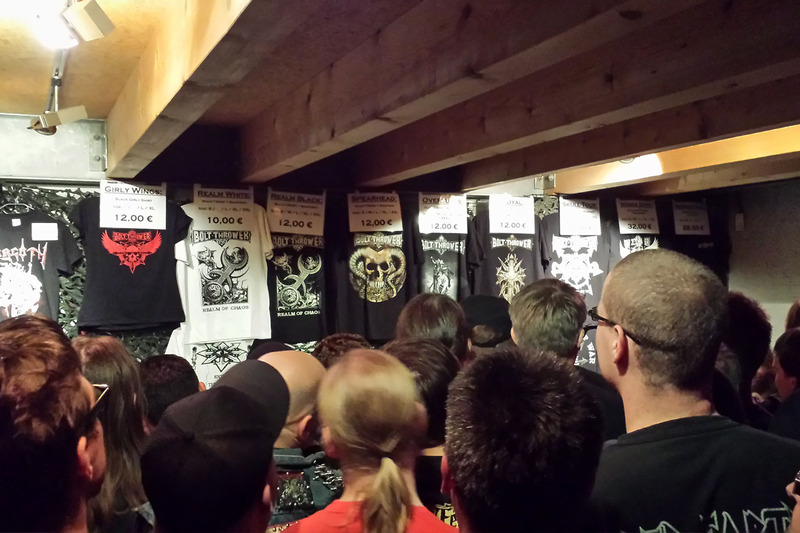 But when later that evening Bolt Thrower began, with a strong start into the set list, a pro-looooonged version of World Eater, they made the crowd go crazy. 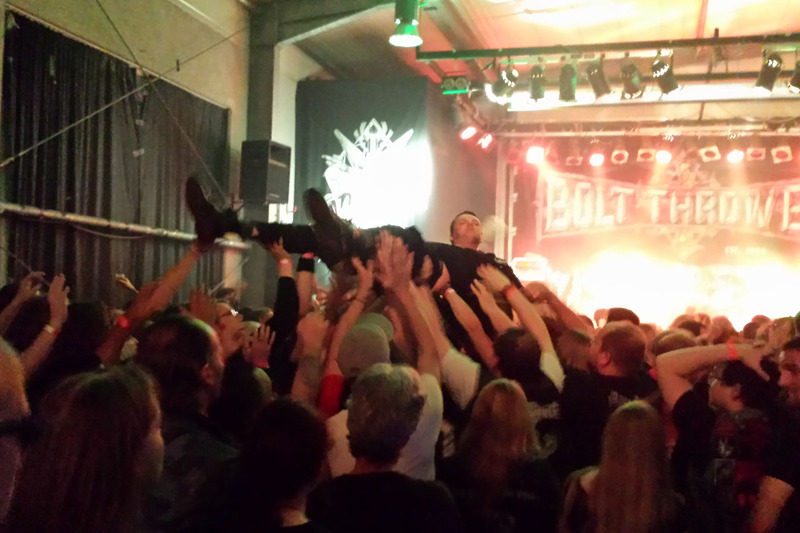 Do you know that picture of a concert with a guy in wheelchair crowdsurfing? 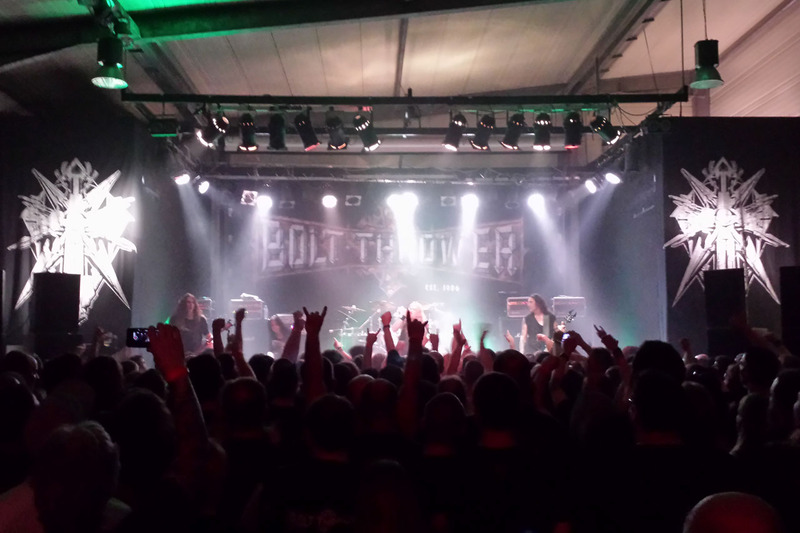 That was a Bolt Thrower concert as well. 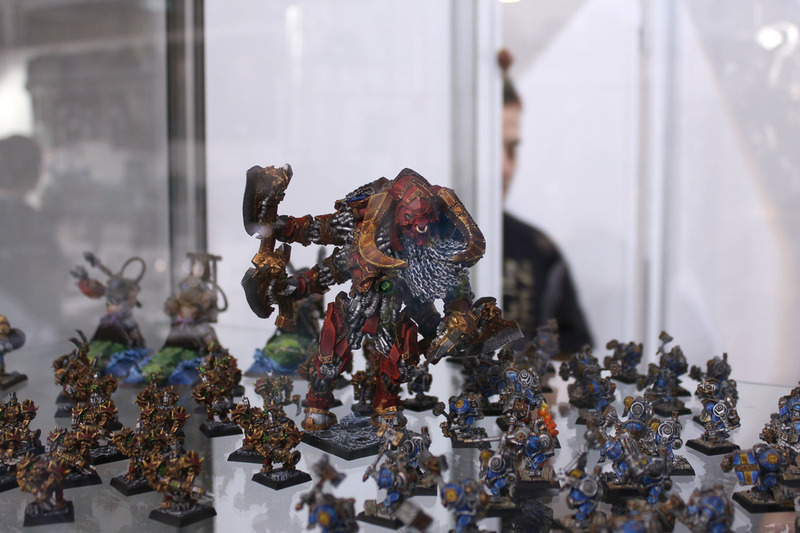 Two weeks later it was time for the Spiel in Essen, the big toy fair. 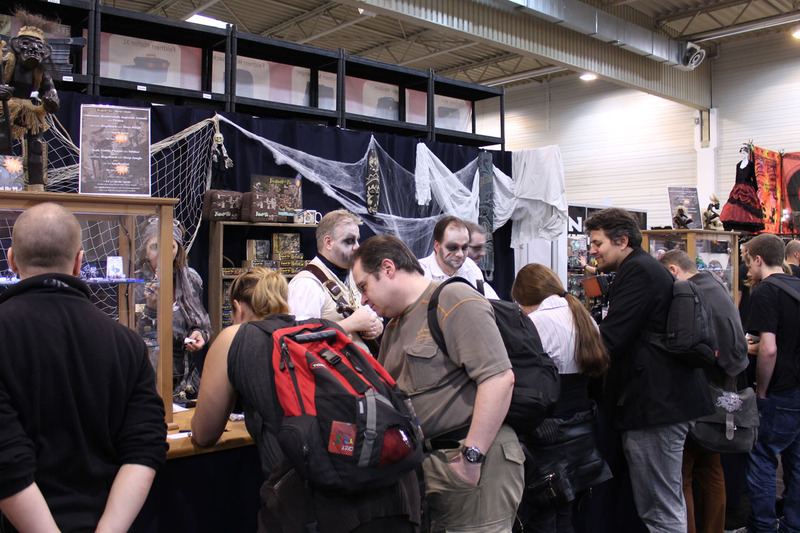 Boardgames, cardgames and miniature games. 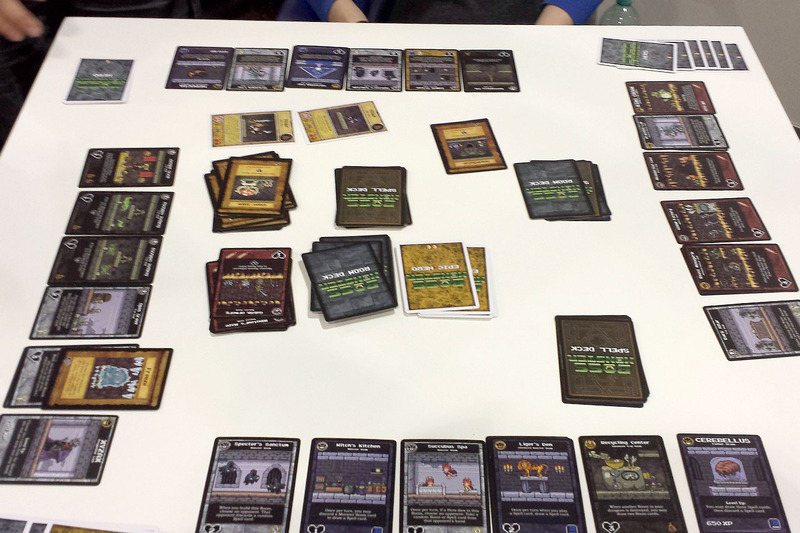 I was really amazed by Boss Monster, so i bought the show bundle including the starter set and expansion for 25 bucks. The new hall layout really suits the show and brings more visitors to the niche systems and producers. 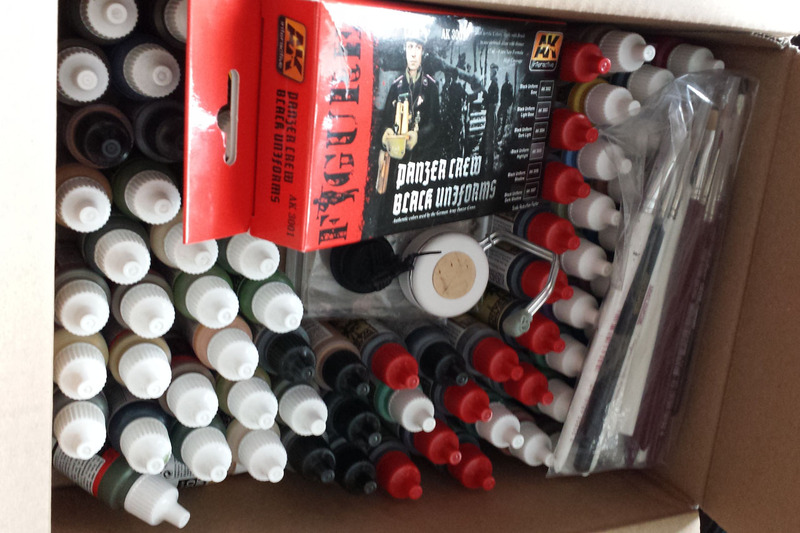 A whole day of Spiel gave me the following stuff to come home with. 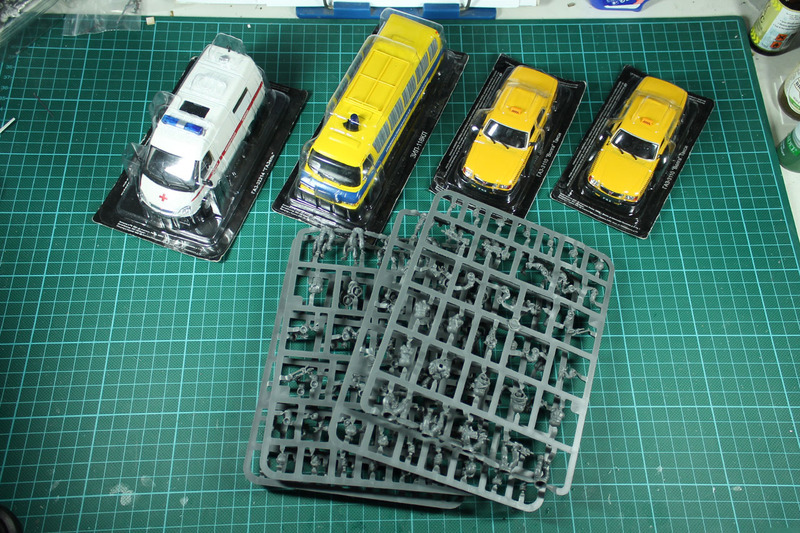 Four die cast cars in 1:43 for 10 bucks , what a bargain. 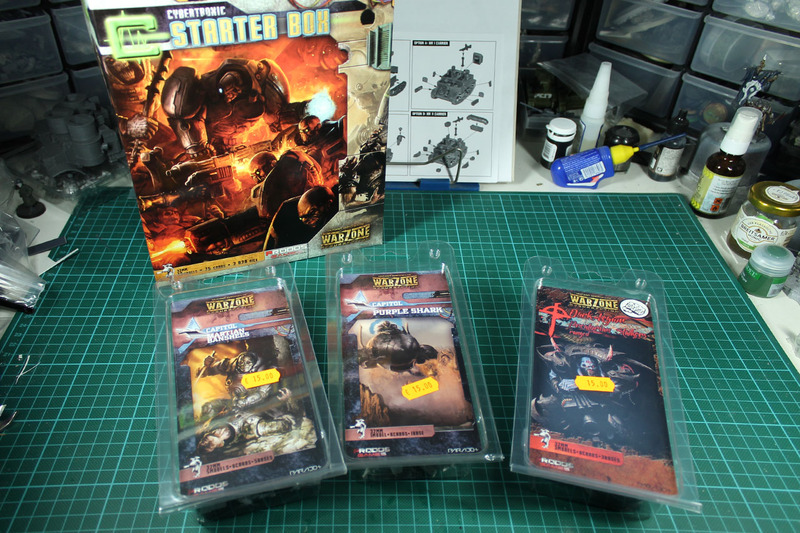 I got 20 mantic space zombies, a huge load of Warzone miniatures for an upcoming addendum to our recent warzone review weeks and on the last picture, some Freebooter Goodies (Dodos!) and two tanks. 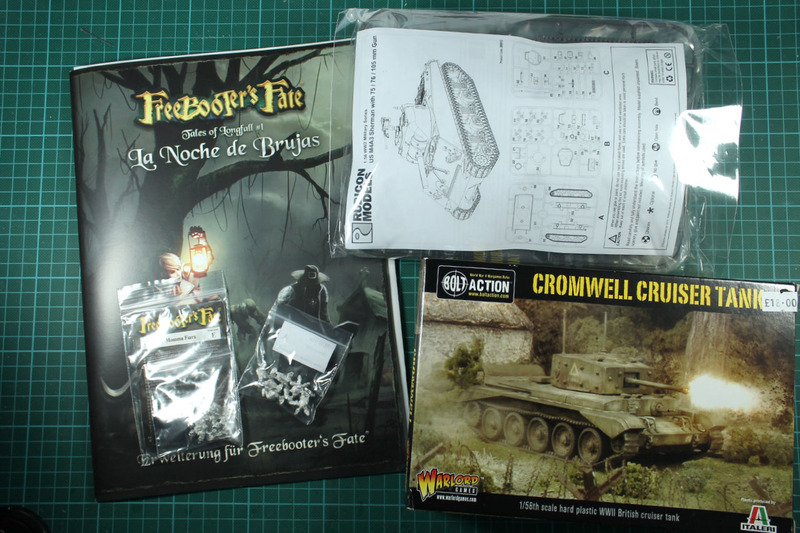 The new bolt action cromwell as well as the brand new Rubicon Models Sherman. Crisis is two weeks away, i am really really excited about this show. Oh and the day after the Pro Gloria Indiegogo Campaign starts. So stay tuned!